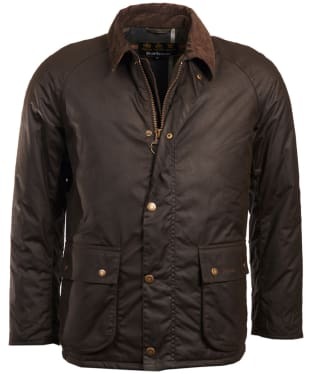 Barbour jackets are coveted around the world and it’s easy to see why – these exceptional coats and jackets are crafted from premium materials to offer the very best in quality, weatherproofing, and style. 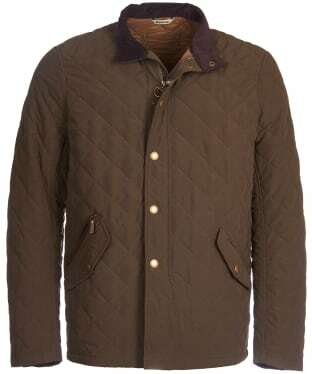 Our men’s Barbour jacket department boast a range of unique styles, from the traditional waxed jackets that are steeped in sartorial history, to the new padded jackets that encapsulate the trends of the season. 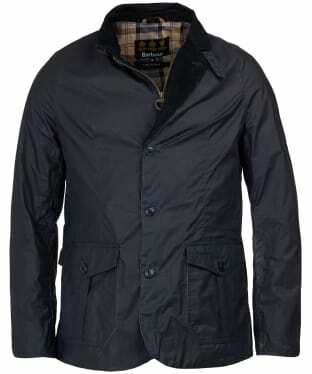 For the sleek city slicker, the lightweight tailored jackets fit the bill, while our classic Barbour waxed jackets with their large pockets and traditional cord collars ooze country charm. 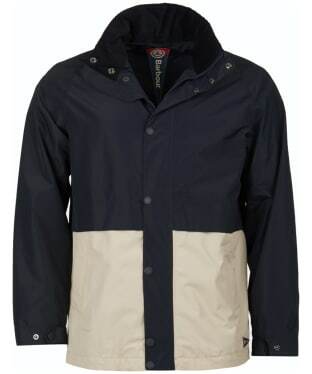 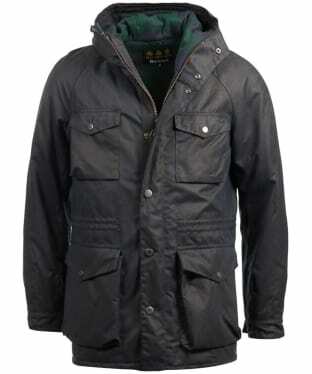 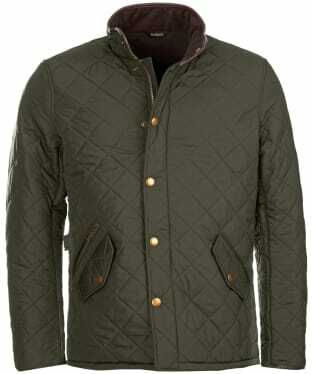 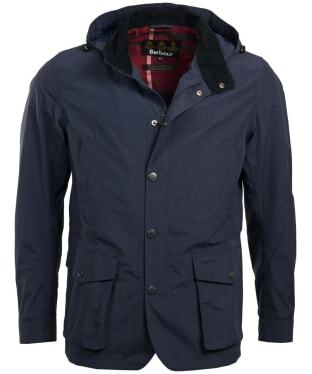 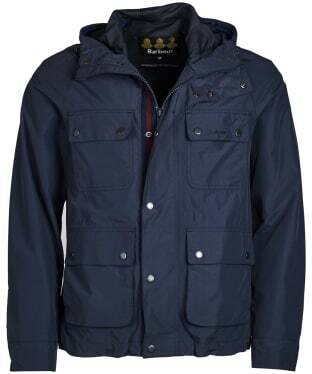 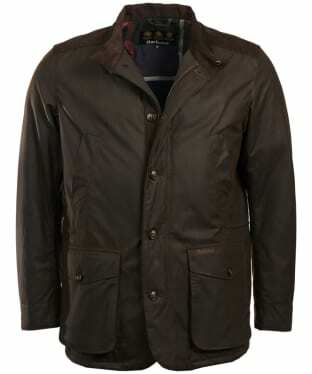 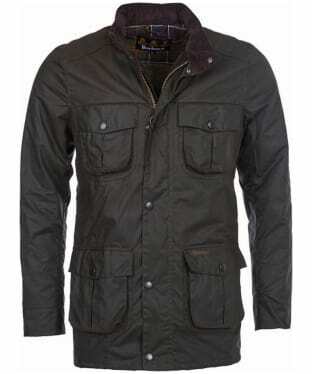 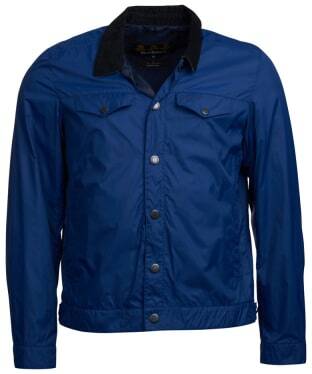 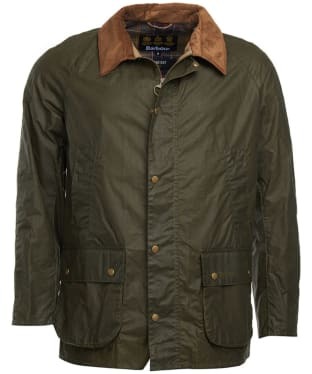 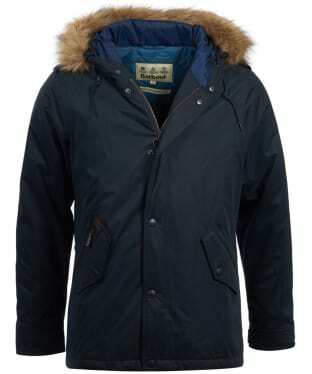 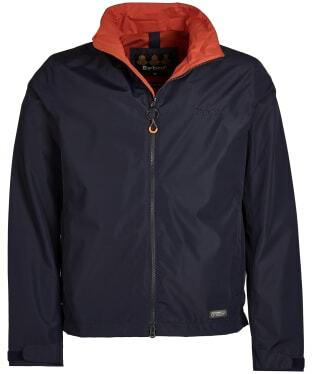 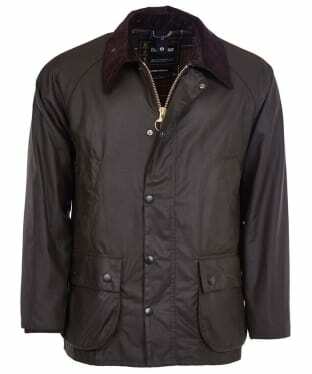 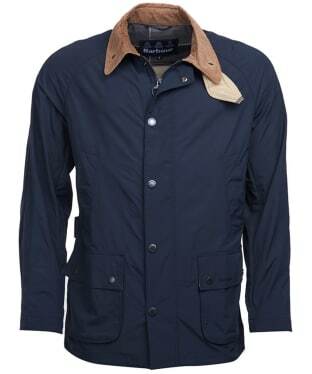 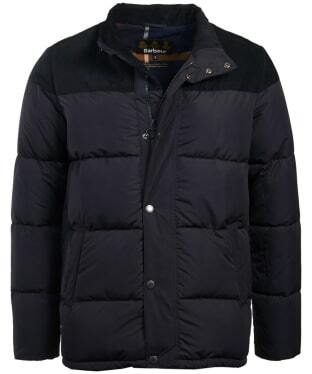 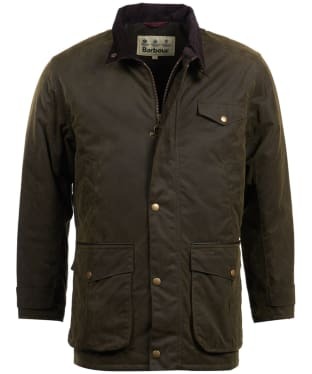 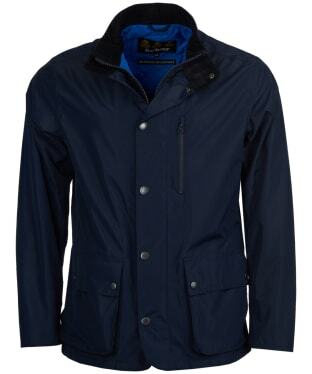 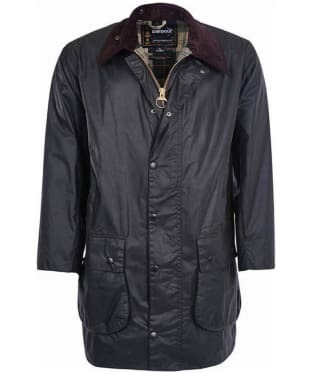 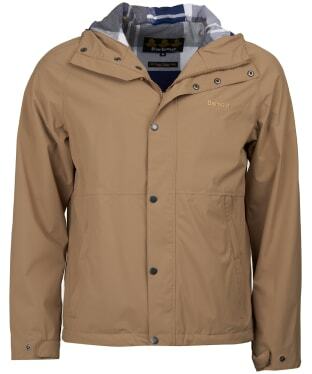 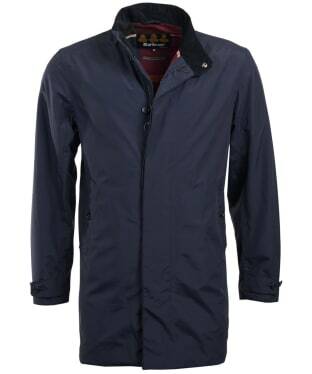 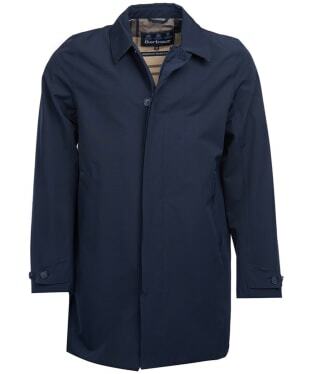 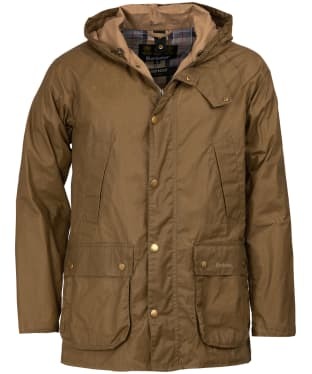 If you need a practical outdoor jacket, look no further than our Barbour waterproof coats. 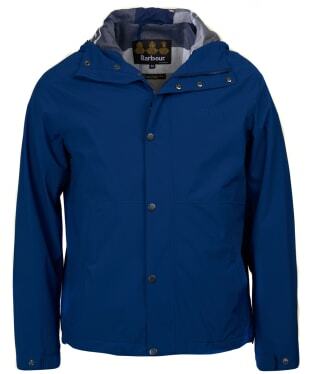 Barbour began life as an outfitter for the mariners and fishermen of the North east coast, crafting weatherproof clothing that was ready to take on the harsh conditions these men had to face, so you can trust in Barbour to provide only the best outerwear for your wardrobe. 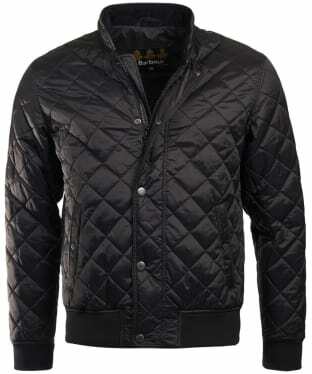 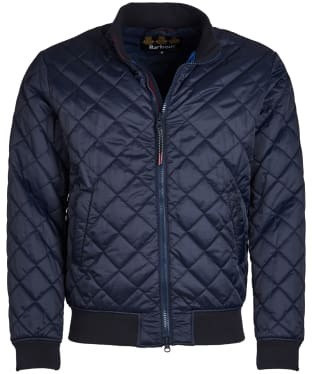 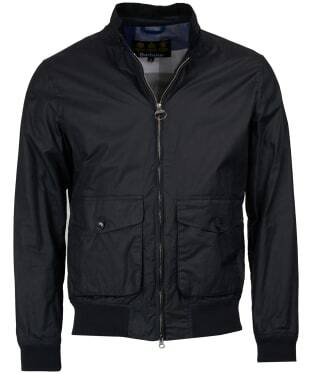 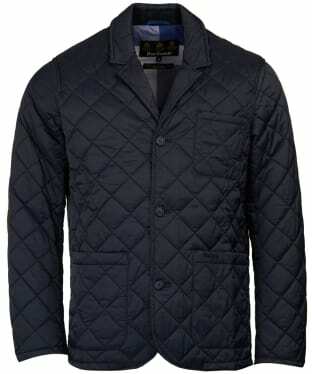 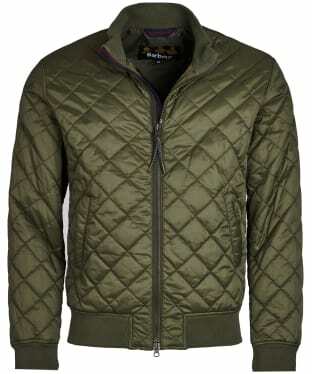 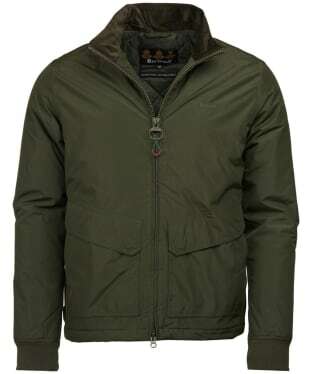 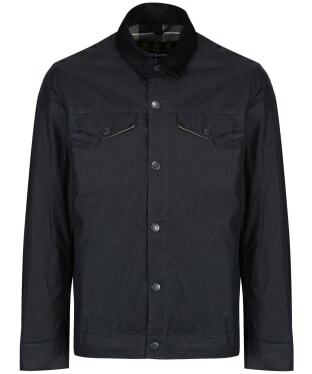 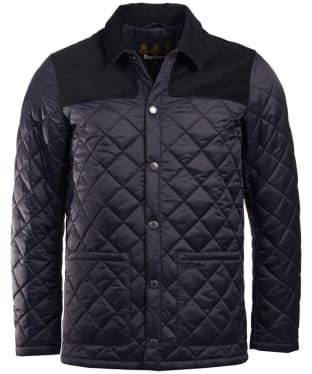 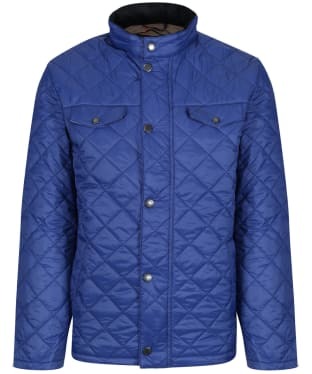 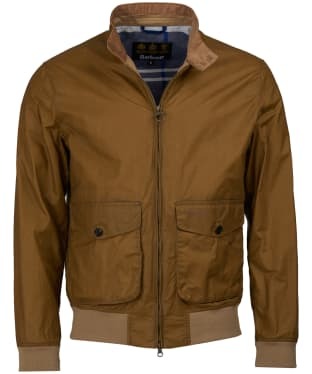 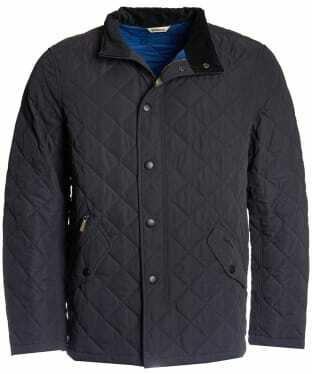 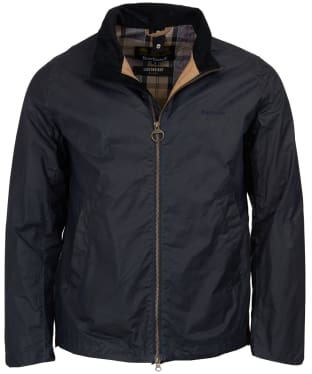 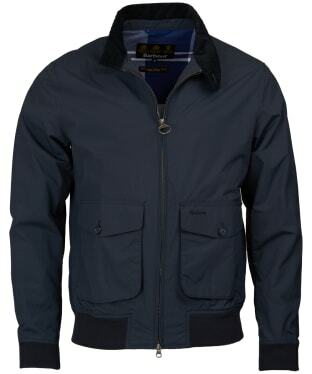 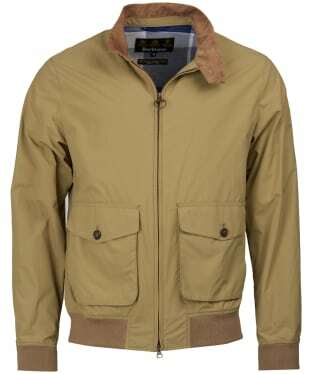 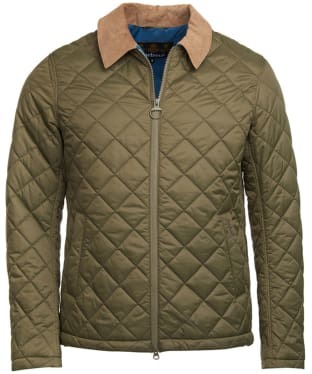 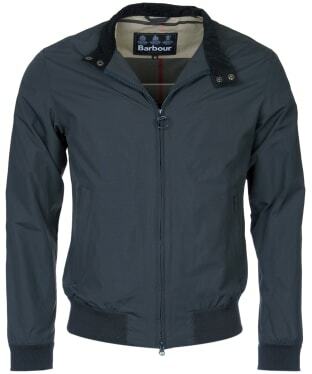 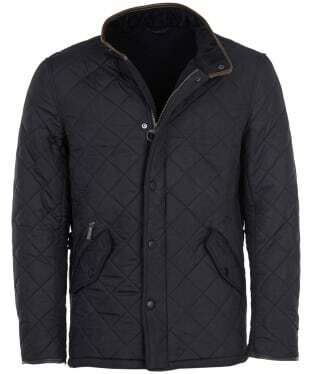 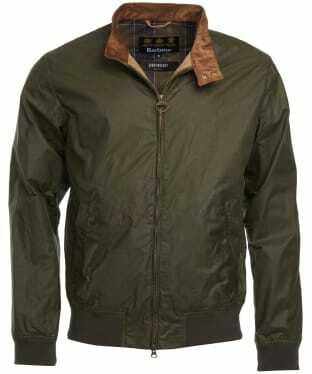 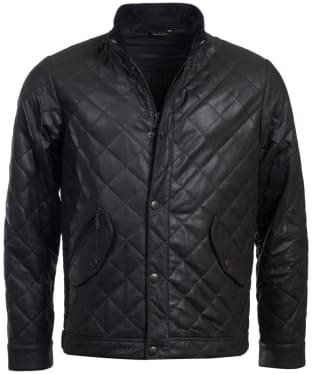 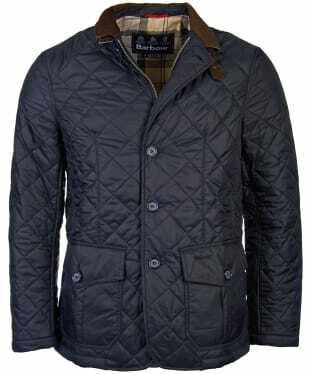 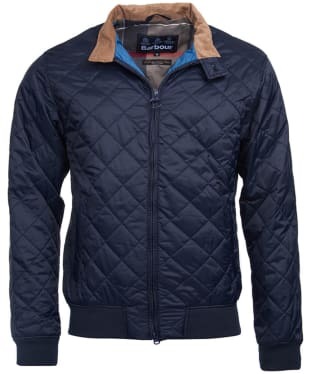 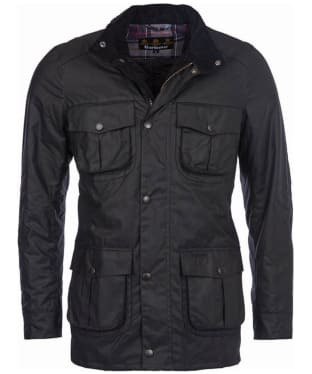 The Men's Barbour x Sam Heughan Grant Casual Jacket is a shorter length lightweight summer jacket, perfect for when there is a chill in the air. 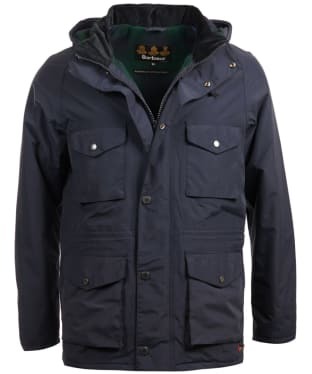 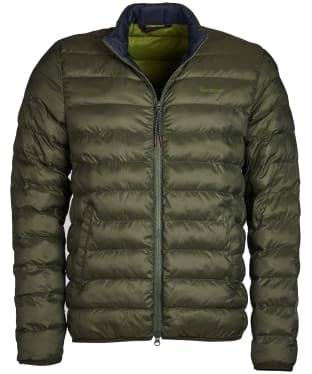 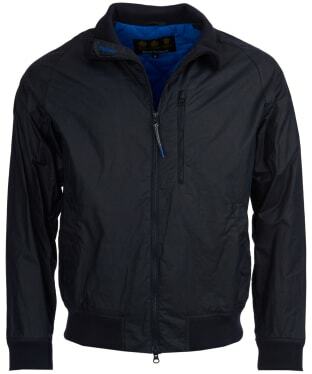 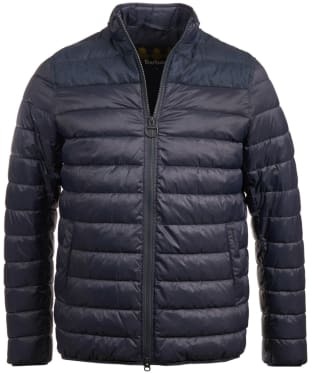 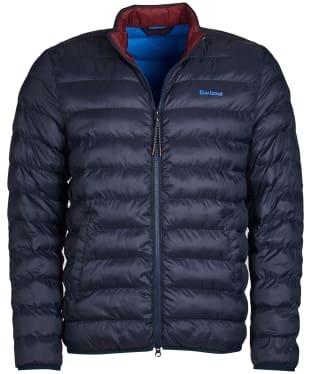 Crafted from 100% polyamide on the outer and lining, the jacket has a durable and warm feel which offers you protection against the cold winds and rain. 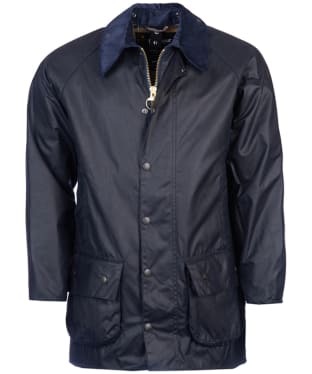 Full stud front fastening allows you to shut out the elements, and the sit down needle cord collar makes for a stylish contrasting look which we think looks great. 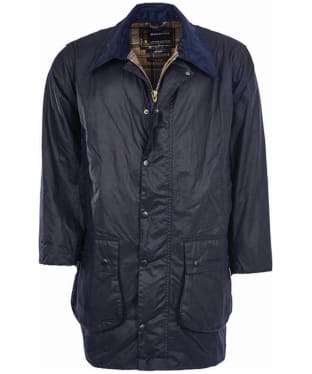 Two chest and two lower welt pockets, gives you plenty of space to store your essential items whether heading into town with friends or walking the dog in the country. 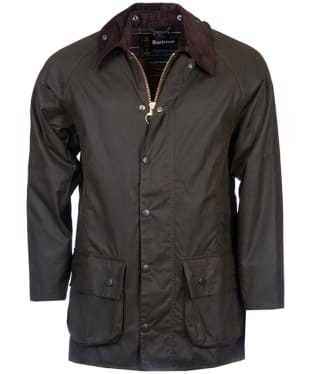 Cut to a tailored fit for a neat and contemporary finish, the jacket also boasts side adjusters at the waist which allows you to find your perfect fit and look. 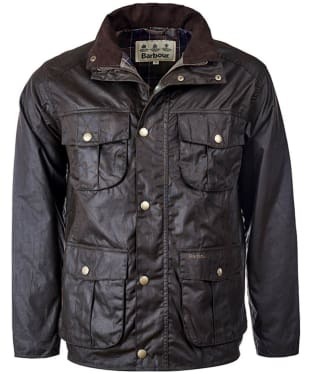 Finally, the Barbour logo has been embroidered onto the chest pocket flap for that signature stamp of quality and iconic branding. 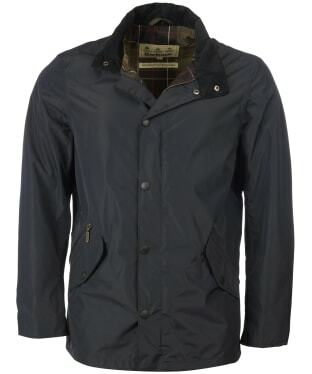 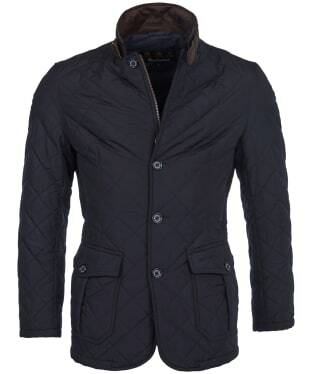 Wherever you are heading this season the Men's Barbour Grant Casual Jacket will keep you looking stylish whilst offering a practical solution when the cooler weather sets in.